I restarted my Pokémon X game (because I am the only person in the world who thinks juggling three Nuzlockes is a good idea) and just for kicks I decided to use the female character. 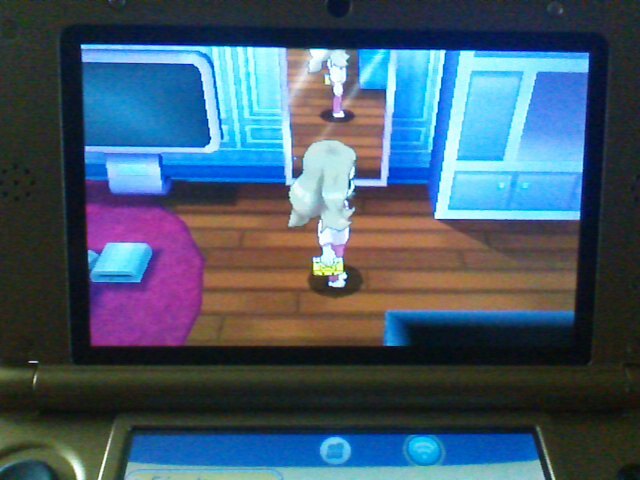 During the opening cutscene, after being rudely awoken by Fletching, she (the character) gets out of bed holding a Pikachu-themed 3DS. I restarted twice and it was still there. I played through X twice before as the male character and I don't remember him holding a 3DS, Pika-themed or otherwise. Is this a special feature or do I just have a terrible memory/poor eyesight? The male charecter does not hold a Pikachu-themed 3DS. What does AZOTH stand for? Is Pikachu worth it, in XY? How can my Pikachu learn Iron Tail in XY?